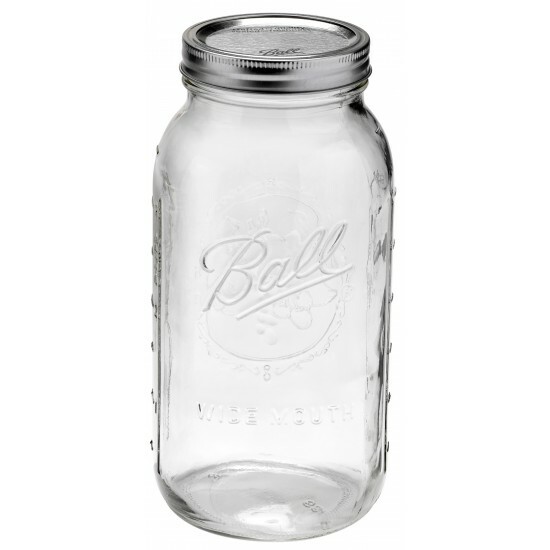 Single half gallon jar complete with lid and band. Half Gallon = 2 quarts which is a little under 2 litres. 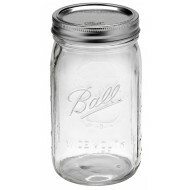 Lids are recommended for single use only if the jar is heat processed using a water bath or pressure canner. Bands can be reused. For preserving, we always recommend using a tested recipe such as those listed in our Ball Blue Book. Ball Regular Mouth 4oz Quilted Glass Preserving Jar SingleCapacity: 4oz = 120ml Size: 55mm high Mouth size: 70mm Regular MouthSuggested uses:..